Ethan created The Law Offices of Ethan M. Weisinger, Inc with the express purpose of providing clients with detail-oriented solutions to their family law problems. Having been an owner of Walnut Creek Family Law Center, Ethan went on to create the Law Offices of Ethan M.Weisinger to structure the client-first perspective of his former firm. Our goal remains to help our clients get through the hardest times in their lives--to get them back on track. We are different than other firms in that we serve our client's interests first in getting them through their divorce or custody matters. We believe in striving to get our clients through their legal matters affordably, ensuring that our clients are informed and participating in their cases, while achieving settlement whenever possible. Ethan Weisinger received the 2016 Client Satisfaction Award from the American Institute of Family Law Attorneys. In 2014, he also received the award for Top Attorneys Rising Stars in Northern California from the San Francisco Magazine. In 2017, The Law Offices of Ethan M. Weisinger, Inc became accredited with the Better Business Bureau to ensure that our client’s receive the best level of client satisfaction possible. 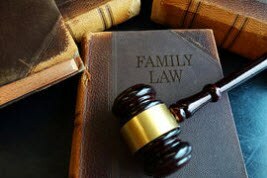 Today The Law Offices of Ethan M. Weisinger, Inc is a top rated family law firm doing business in Contra Costa, Alameda, Solano, and San Francisco counties. Ethan M. Weisinger is one of the best rated family law attorneys in the Bay Area, out performing other attorneys in client satisfaction.